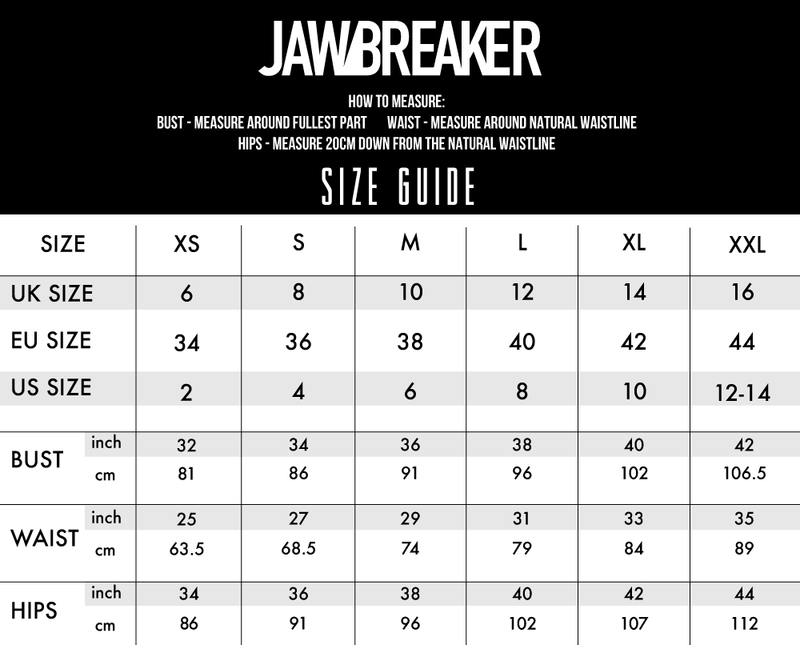 We love a good horoscope at Jawbreaker, and luckily for us, astrology has taken a turn for the alternative. Because putting a gothic spin on things is what we do best. 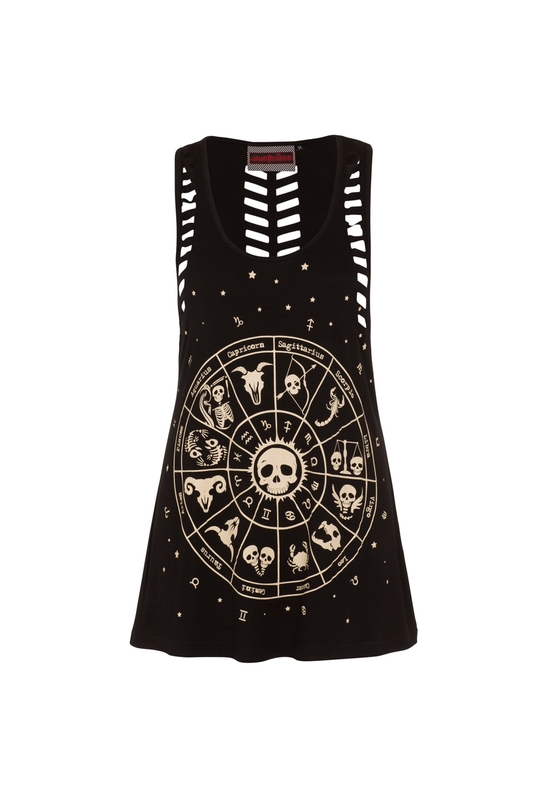 This beautifully dark top features a complete set of skull themed zodiac signs: a winning combination. Love the print? 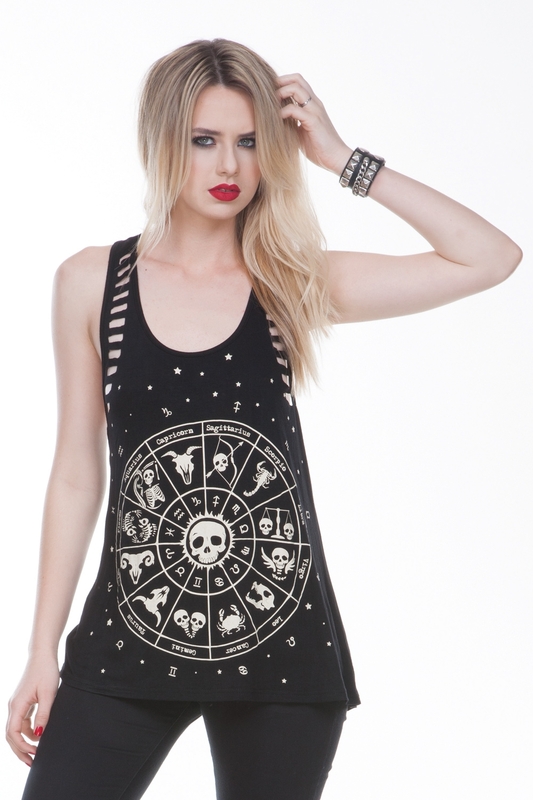 We have the same design on our Astrology Cardigan!